I recently bought this book (with my own money, this is an impartial review: I can’t be bought, man!). 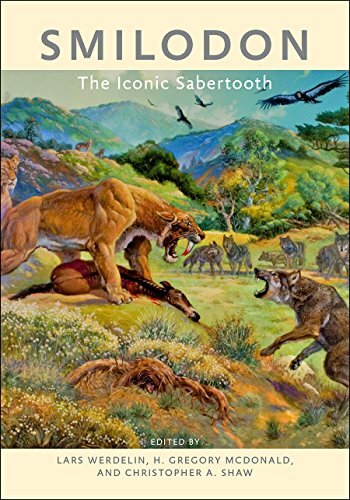 “Smilodon” is somewhat of a companion volume to another recent-ish release, namely “The Other Saber-tooths: Scimitar-tooth Cats of the Western Hemisphere”. Both volumes come from Johns Hopkins University Press. Whereas “The Other Saber-tooths” deals with the less well known Homotherini tribe of the machairodont subfamily, “Smilodon” jumps into the gap containing the extinct superstar Smilodon, and the tribe Smilodontini. First things first; this is a technical book. It is not really intended for the interested lay-reader but organised as essentially a collection of totally independent papers bound together for use by specialists in the field. 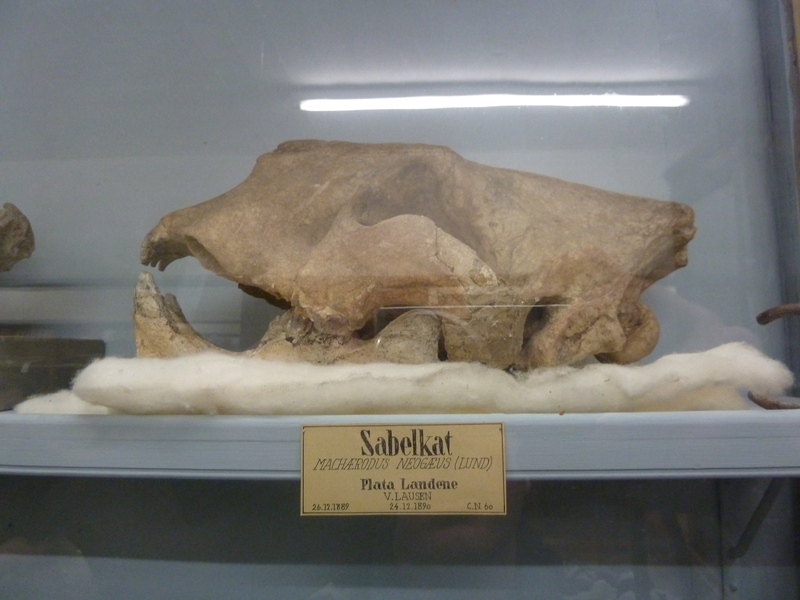 It follows from the International Sabertooth Workshop that took place in 2008. It assumes a reasonable amount of familiarity with extinct cats, their anatomy, and their fossils. The volume is pretty wide-ranging and contains a host of sabretooth experts. The editors are Lars Werdelin, Chris Shaw, and Greg McDonald who all have decades of experience in Pleistocene matters. 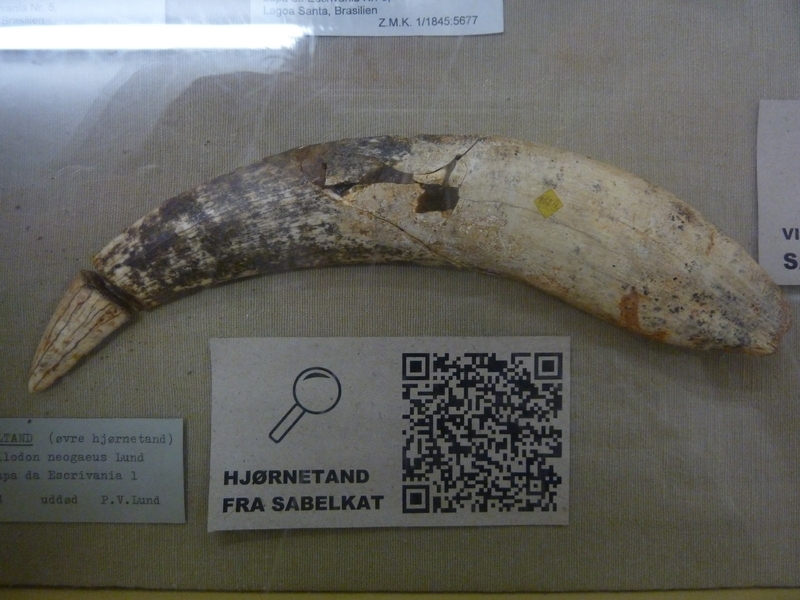 There is an introductory chapter on the convoluted history of how a carnassial tooth from Texas came to be the Holotype for Smilodon fatalis, and the role material collected by the great Danish naturalist Peter Lund had in erecting the species Smilodon populator. Anyone who has investigated the taxonomy of a wide ranging fossil species will know that they are usually complicated by numerous binomials having been given to what are essentially the same taxon. Smilodon is definitely one of these with at various times and places the genera Trucifelis, Machaerodus, Munifelis, Hyaena, and Felis used for different bones and teeth. One interesting tidbit, unknown to me is that Lund’s original use of Smilo-(sabre) and odon-(tooth) actually referred to the crooked shape of the incisors and not the enormous canines, which were incompletely known at the time. This chapter is beautifully illustrated with exquisite lithographs culled from various nineteenth century sources, finer than any photograph. Chapter 3 focuses on the little known tar pit of Talara, Peru. Many, if not most folk interested in ice age animals will have heard of the famous Rancho la Brea tarpit in downtown Los Angeles, with its millions of bones and thousands of sabretooths and dire wolves. Less well known is that there are other tarpits in Venezuela and Peru that have similar collections of extinct monsters. Talara, in Peru has given nearly two thousand Smilodon bones, from at least twenty-four individuals, for study. It’s a very important site, not just for the raw number of bones but because the western Andes seem to be the southernmost extension of the range of North American S. fatalis, specifically distinct from the larger S. populator that is found east of the Andes. Detailed study of the Talara material in this chapter gives insight into sexual dimorphism, ontogeny, and sociality. It is, after all, the second greatest concentration of sabretooth bones known. Chapter 4 deals with an amazing site, and one very close to my heart. 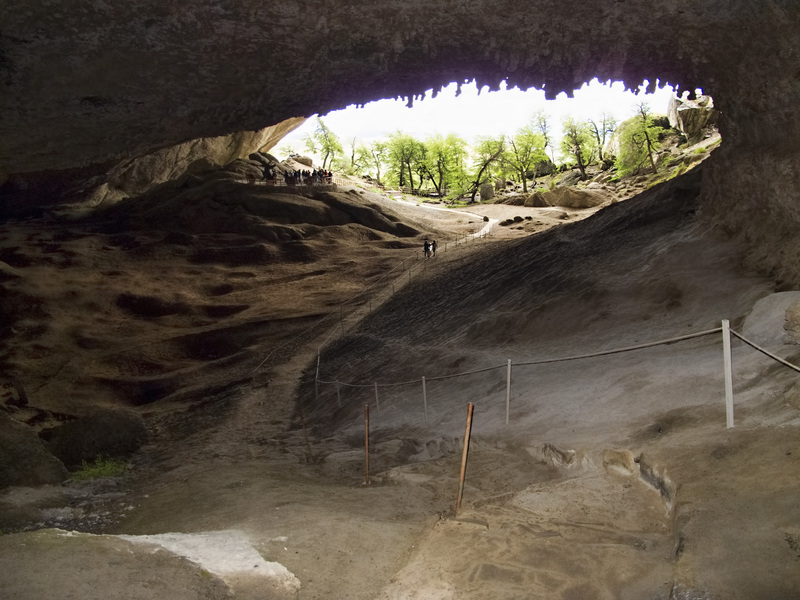 Cueva del Milodón is Chile’s southern Patagonia is just incredible. The very first bone samples I ever analysed as a brand new PhD student were from this site, a site that has given us giant sloth skin, hair, bone, nails and dung, along with bones of sabretooths, giant shortfaced bears, giant jaguars, pumas, llamas, macrauchenia, deep-nosed horses, warrah-wolves, and other species. Right at the tip of South America, the climate is such that the preservation levels in the cave have perfectly captured a snapshot of a lost world of Pleistocene megafauna. The bones of Smilodon populator get a proper write-up and description. Most interestingly, tabulation of the data seems to show that Smilodon obeyed Bergmann’s rule i.e. individuals at higher latitudes were in general larger than those at lower latitudes. Chapter 7 uses the infamous “Robocat”, an invention of my friend and colleague Todd Wheeler. For those who don’t know, “Robocat” is a hydraulic trackhoe, modified with a scale steel model of Smilodon skull and mandible attached to a rig that approximates the movement of the lower neck and other muscles. Using a spare bison carcass, “Robocat” continues the fine tradition of experimental palaeontology in trying to figure out how the heck sabretooth cats used their enormous teeth. The bison gets spectacularly mangled in the process. Interestingly the classic canine shear-bite first proposed by Bill Akersten in the 80s may not be feasible but based on the “Robocat” experiments a different bite model may be needed. There is also an interesting discussion on fossil Smilodon canines from older animals that seem to have suffered gum disease and allowed the tongue to rasp away a groove in the dentine. 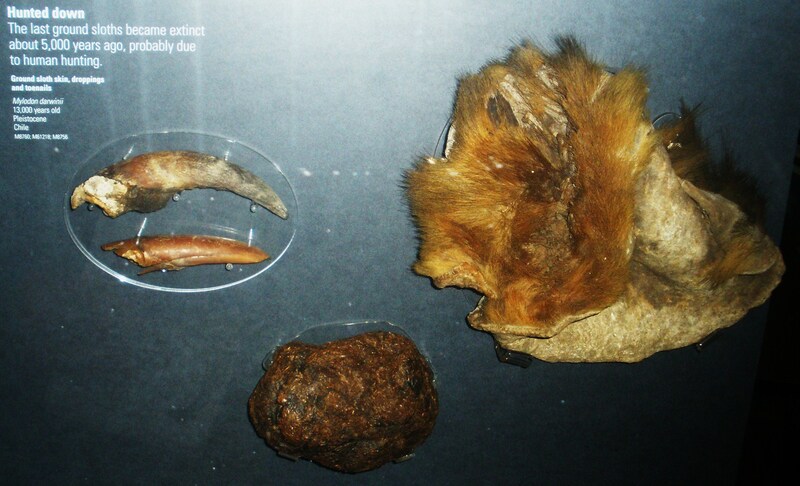 A subtle but evocative sign of soft tissue in this extinct cat. Chapter 10 uses stable isotopes to look at what the species of Smilodon were eating and where they were hunting. It basically confirms earlier work showing that browsers were the main prey, things like ground sloths and macrauchenia. Hunting grounds were also open forest areas, which makes sense for a large ambush predator. Chapter 12 is a fascinating overview of palaeopathology in Smilodon from that immense collection of Rancho la Brea. 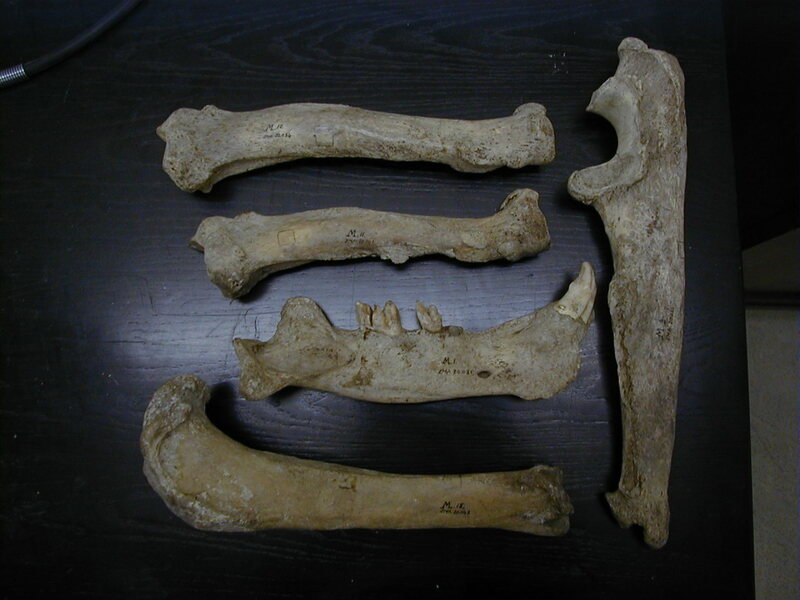 Bones showing massive infection, pathological fusion of vertebra and other examples of disease are discussed and put in the context of behaviour in Smilodon. Other chapters deal with morphological phylogenetics in sabretooths, Smilodon fossils from South Carolina, computational biomechanics of the Smilodon skull, tooth development of Smilodon, postcranial morphology, and skull evolution. Overall, this is a handsome and well put together book. The illustrations that accompany each chapter are good. There is a wealth of information about Smilodon, and much that is new and interesting. 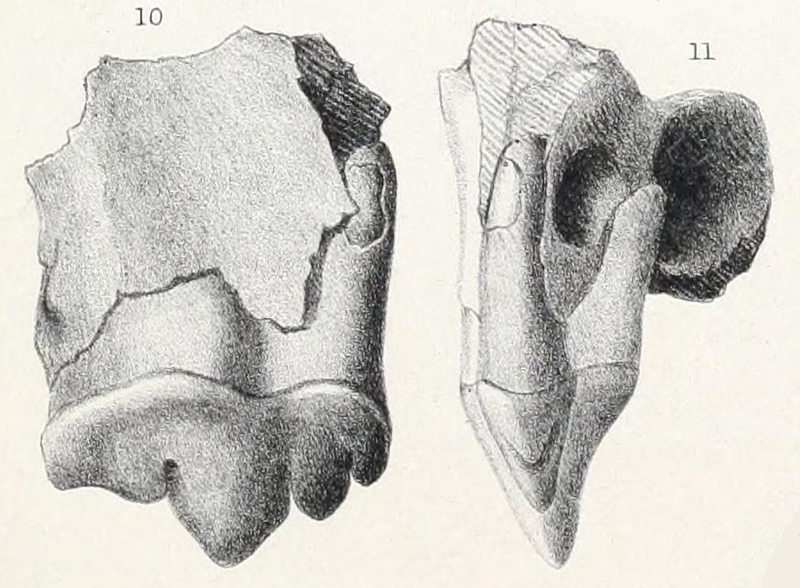 There are colour plates showing a range of reconstructions of Smilodon through the ages, from pioneers like Charles R Knight, to modern masters of palaeoart like Mark Hallett and Mauricio Anton. Curiously, these are not referred to in the text at all and simply serve as a series of canvases illustrating the eponymous subject of the book. Given that the work is a collection of papers by different groups there is the inevitable repetition of some key Smilodon facts in almost every chapters’ introductory paragraphs. Nonetheless, it is no mean feat to pull together such a breadth of scholarship on a single subject into a coherent whole. In that sense “Smilodon: the iconic sabretooth” succeeds. Both books are absolutely deserving of a place on the bookshelf of any fossil felid aficionado. 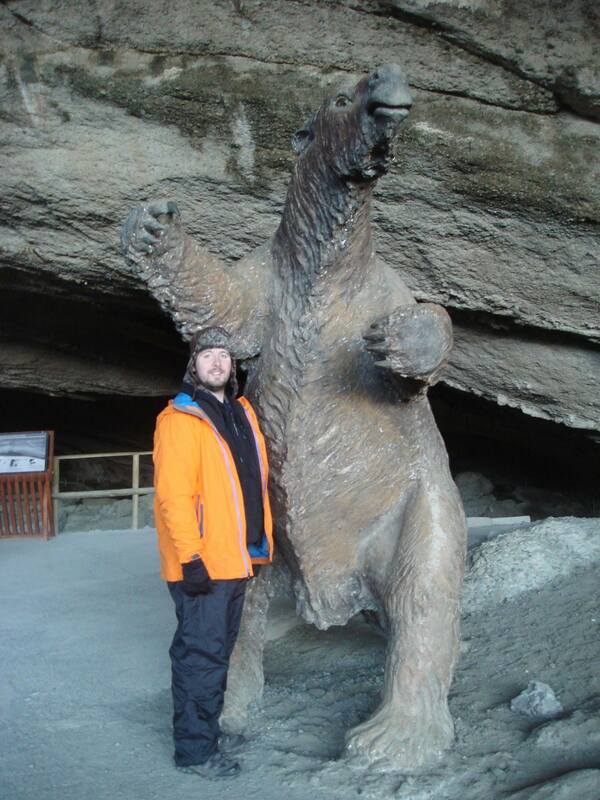 This entry was posted in Uncategorized and tagged Arctodus simus, Arctotherium tarijense, Giant Ground Sloth, Hippidion, Homotherium, Homotherium latidens, Homotherium serum, llama, Macrauchenia, Pararctotherium, Patagonia, Pleistocene, Smilodon, Smilodon fatalis, Smilodon gracilis, Smilodon populator. Bookmark the permalink.